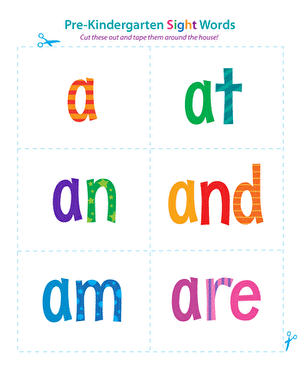 Has your pre-kindergartener already begun to read? 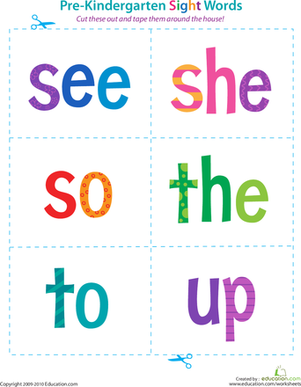 If so, she's probably come across words that are difficult to sound out, like "she" or "the." 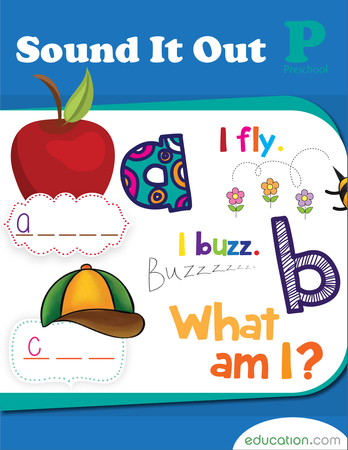 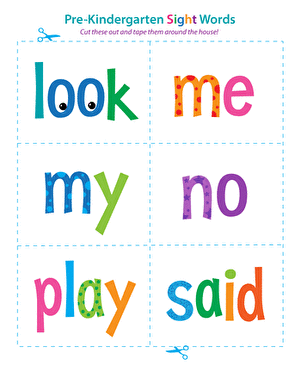 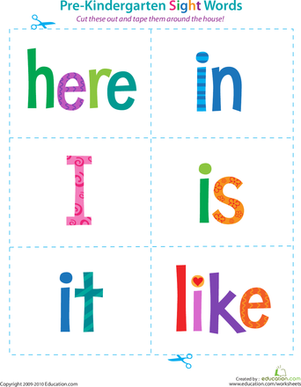 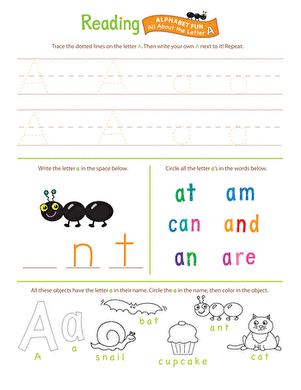 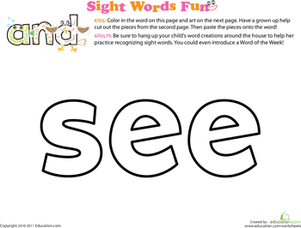 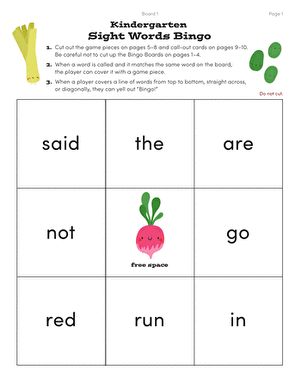 Many children, particularly new readers, learn these sight words better through memorization than through phonics. 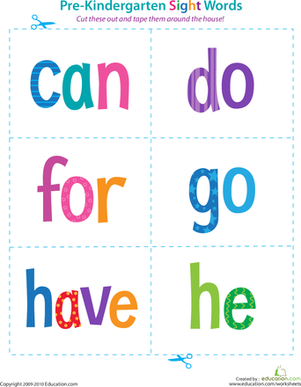 To help your child get a handle on sight words, try incorporating them into her everyday routine with these colorful word flash cards. 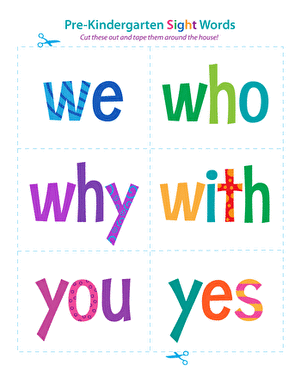 Just cut them out and tape them up around the house where she'll interact with them on a daily basis.